On May 15, Fortune Magazine published “Dirty Medicine: the epic inside story of long-term criminal fraud at Ranbaxy, the Indian drug company that makes generic Lipitor for millions of Americans.” The nearly 10,000 word article exposed in detail for the first time the outright fraud occurring at a distant, under-policed generic drug company. 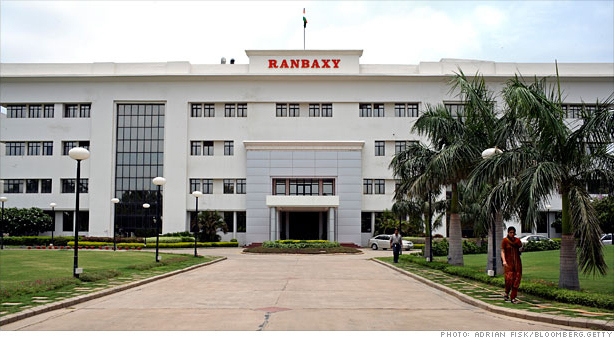 Ranbaxy knowingly sold substandard drugs around the world, including in the U.S., while working to deceive regulators. The article, years in the making, was based on more than 1,000 confidential company documents, hundreds of pages of FDA records obtained through FOIA requests, and court records. Reporting for this story also included interviews with more than a dozen former and current Ranbaxy employees as well as 40 scientists, public health experts, patient advocates, congressional investigators, and regulators. Below, Katherine Eban describes some of the reporting challenges and makes suggestions for those embarking on similar projects. Some years ago, I began hearing from my sources that I should investigate the generic drug industry. A generic drug boom was underway and it had led to a gold-rush mentality, they said. One of my sources likened it to the Wild West. Some patients were complaining that their generic drugs seemed ineffective or made them feel sick. A number of medical societies had drafted position papers arguing that for medications where precise dosing was essential, generic drugs could be unreliable, and frequent switching between different generics could be dangerous. The FDA largely dismissed these complaints and defended its standards for evaluating generic bioequivalence as rigorous. There seemed no good way into this nebulous topic, and no way to assess the actual quality of America’s generic drugs, which today constitute 84% of our drug supply. However, there were a few red flags to suggest that the FDA’s review process deserved scrutiny. The agency bases its approvals on data submitted by the drug makers themselves, largely without testing the actual drugs (a.k.a. an honor system). The FDA’s rate for inspecting overseas manufacturing plants, where the majority of our generic drugs are made, lags far behind the rate for domestic plants. As I investigated, I kept hearing about a giant Indian generic drug company, Ranbaxy. The first foreign generics company to enter the American market, it was widely regarded as the jewel of the Indian pharma industry. My sources suggested I should look into possible data fraud inside the company. I began trying to cultivate former employees. To do this, LinkedIn served as an invaluable tool. It led me to former employees around the world, and enabled me to visualize their networks. As I began cold-calling high-level former employees on three continents, things began to shake loose. I got anonymous calls, e-mails and faxes. In one instance, I called a former employee in another country, who declined to speak with me. But 48 hours later, I got a vital document (from a new source) in the U.S., as a result of that call. Even as things progressed, I faced myriad reporting and writing challenges. Scared and frustrated sources did not want to go on the record. I wondered if readers and editors would be interested in the detailed inner workings of a foreign company. The topic of data fraud was dry, complex and hard to bring to life on the page. But I knew it was important for American readers to grasp that Ranbaxy’s drugs are our drugs too. Along the way, I obtained some extraordinary internal reports and e-mails that led directly to the board room and demonstrated that Ranbaxy’s executives knew about the fraud, took no steps to stop it and in e-mails, even appeared complicit in it. Yet most of the documents I obtained were anything but self-explanatory. They included reams of laboratory data in microscopic font that discussed things like biobatch size, R&D batches, exhibit batches, stability testing, dissolution values and process validation. Obviously, I needed to decipher all this. But in order to describe what Ranbaxy had done wrong, I needed to understand in detail how a company is supposed to manufacture a drug correctly. And this turned out to be a major reporting challenge. To better comprehend this highly technical and detailed process, I painstakingly created a flow chart of the steps involved to help me visualize it. First, companies must make small research and development batches, to see if they can actually produce the drugs. Next, they must make exhibit batches, a crucial intermediate step to demonstrate that they can scale up their production. These must be tested in limited clinical studies on a small group of patients. Then, they are supposed to make three commercial-sized batches, as the basis for their application to the FDA. Along the way, they are expected to analyze the drug’s purity and stability. But the U.S. system creates an incentive for generic drug companies to be quick: if they are first to file their applications for a given drug, and are willing to battle the patent holder in court, they can get six months of exclusive sales before other generics companies enter the market. Once I better understood the correct process, I turned to the spreadsheets of laboratory data, which I had collected painstakingly over months from confidential sources. To understand the documents, I knew I needed guidance from an expert who could help me review them confidentially and had no stake in the story. For this, I turned to a confidential source – a compliance expert and a high-level scientist in the world of veterinary medicine. Over the course of numerous meetings, we pored over the spreadsheets and the story became much clearer. At every opportunity, Ranbaxy sought to speed up its drug applications by skipping vital manufacturing steps. In some instances, it skipped making the intermediate exhibit batches. It also compressed into weeks the months-long process of stability testing – evaluating how quickly a drug degrades. It concealed these omissions by either fabricating data, or cutting and pasting data from one country into an application for another country. In some instances, it even took the ultimate shortcut: using brand-name drugs as stand-ins for its own in clinical studies. As I completed my reporting, I still felt that I needed to see how the process was supposed to work, in order to sharpen the writing. Though I watched YouTube videos of drugs being manufactured, after considerable effort, I found a laboratory that was willing to give me a tour of its facilities and show me what good manufacturing practices look like. That trip ended up being just two paragraphs in the final story. But it helped to inform my writing of the entire article and brought home the gravity of Ranbaxy’s fraud. Since its publication, the article has had an impact across the globe. India’s main drug regulator has passed new regulations, requiring drug companies to immediately report any negative findings by foreign regulators inspecting their Indian manufacturing plants. A prominent hospital and pharmacy chain suspended use of the company’s drugs. In Japan, Ranbaxy’s majority owner, Daiichi Sankyo, announced it would sue “former shareholders” for concealing critical information about the company. This referred to Malvinder Singh, an Indian billionaire who was Ranbaxy’s CEO in 2008 when he and his brother sold their third of the company’s stock to Daiichi Sankyo for $2 billion. In the U.S., citing the Fortune article, Rep. Steve Israel (D-New York) has called on Health and Human Services’ inspector general to examine the FDA’s oversight of generic drugs from overseas. And the Oregon pharmacy board has announced it will investigate the safety of Ranbaxy’s drugs. - Figure out a way to see what you’re writing about, whether that’s going to a laboratory, staring at test tubes or watching data get generated. - Map out what you plan to describe, by creating a graph or flow chart of the processes you’re reporting on. - Try to arrange tutorials for yourself. - Use YouTube to find videos on your topic area. If a company declines to give you a tour, see if you can find a promotional video in order to get inside. - When you’re starting at zero, don’t be afraid to cold call former employees. As some of them learned I was reporting the article, they contacted me unsolicited. - Submit Freedom of Information Act requests as early in your reporting process as possible. It can take years for the FDA to process these requests.